If you are a wine lover, then I beseech you to battle your better judgement and read past the following line – at least a paragraph or two. I am the managing director of a wine investment business. There, I’ve said it. I know, I know; it’s people like me, operating in this parasitical, grubby little corner of the wine trade, who are responsible for pushing the prices of the world’s most desirable wines through the roof and rendering them unaffordable. Well, what did you expect? Everyone knows that this space is full of hard-nosed, soulless sorts, who – in the words of Basil Fawlty – wouldn’t know their claret from their Bordeaux. But wine is for drinking, not for profit, you cry! Shame on me! But is any of this actually true? Firstly, a bit about me: I am a wine lover; In fact, it’s my passion and you might even call me an expert. I don’t need to be either a lover or an expert to do what I do (I am surrounded of necessity by a team whose CVs sport names like Deutsche Bank and Merrill Lynch, but on which Berry Bros or Justerini’s are conspicuously absent), but I am both, and I am therefore qualified to pass comment on this subject matter. Particularly given that I too have been forced to change my drinking habits. A decade or so ago I was still a regular participant in the hedonistic joy of Bordeaux first growth consumption. A particularly yummy bottle of 1990 was memorable not only for its visceral pleasures, but also because it was the first bottle for which I paid over £100. The year was 2001. Today, for a wine of similar critical acclaim and bottle ageing I might pay seven or eight times that: I am priced out of the market. So is the wine investor to blame? It is a matter of fact that wine, one way or another, needs to be financed – bankrolled, if you like – from the moment it leaves the vine right up until the cork is pulled. And in the case of fine wine, this can be a very long time – ten, twenty; perhaps thirty years or more. So on the understanding that we all want to drink perfectly mature, jammy claret, but that it needs to sit in a dusty cellar for several decades first, who exactly are we expecting to bankroll the interim period for us? The châteaux? Not a chance. The Bordelais distribute their wines though an age-old network of brokers who facilitate the sales some two years before the owners can take delivery: the en primeur system. 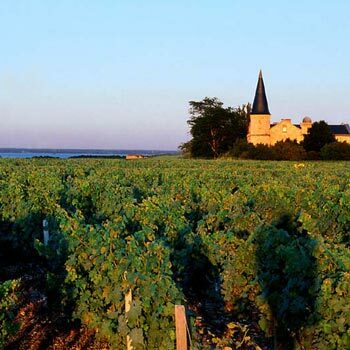 They are unlikely to ditch this cash-flow friendly structure out of the goodness of their coeurs in favour of waiting decades to release their product to market in its final, perfect form (with the exception of Château Latour – more on that later). The merchants? Here’s a great idea: why don’t we all demand that the merchants do the decent thing – surely they could buy the wine from the châteaux en primeur, but elect NOT sell it to us there and then, but instead hang on to it (at their cost) for twenty or thirty years before selling it to us all at the original en primeur price? (plus a modest margin I suppose – let’s not be unfair about things) Brilliant! And, of course, utter nonsense. In fact, the merchant’s business is the polar opposite, and very clever. We’ve all heard the adage that the foundations of the wine investment market were formed by the landed gentry who bought twice as much wine as they needed, then waited for it to mature and double in value, at which point they sold half and drank the rest for free. Nice. But have you ever stopped to think what a great deal that was for his merchant too? The merchant got to sell the wine not just once for a profit, but twice – all he had to do was wait, insulated from stock value fluctuations, for the market to increase, until he got it back! Risk free! Well, half of it at least. So the châteaux aren’t going to bankroll wine’s snail’s pace journey from vine to glass, and neither are the merchants. So it looks like it’s down to you matey – you’re the wine lover; you’re the one who’s going to have to fund this journey. It’s you who’s going to have to have to fork out en primeur and then be VERY patient whilst your pride and joy gathers dust under your floorboards. But hang on a minute; you don’t really want to wait half a lifetime before dusting off your best Riedel glasses do you? What you want is the opportunity to drink the mature stuff now, now, NOW! Trouble is, that would’ve required stocking your cellar way back when. But what if your poorer, younger self couldn’t afford fine wine back then? Or what if such a purchase wasn’t even possible? I for one would relish the chance of quaffing a bottle of 1982 Lafite right now, but I wasn’t even of an age where I could legally purchase alcohol when it was first released for sale in 1983. Am I therefore to be denied the pleasure because I missed the boat whilst immersed in teenage angst and my favourite Ultravox LP? Clearly a market mechanism is needed so that I, and the droves of other wine fanciers like me, can splash out on fully mature offerings should we wish. And so, when the Parkers and the Robinsons of this world extol the virtues of luscious, fully aged Bordeaux in one breath, then damn wine investment with the next, my eyebrows involuntarily raise above the physical limits of my forehead. Where exactly do they think it’s all coming from? Yes, that’s right – investors. Who, in the modern supply chain, play the role once filled by the landed gentry. As a wine lover, the investor is your friend. He was happy to stump up the purchase price when you couldn’t (or wouldn’t). He was similarly happy to pay the storage and the insurance and all the other sundry costs attached to long term wine ownership. He was even prepared to carry the risk that his wealth may have actually decreased in consequence to his selfless gift to you. And all he asked in return was for his slice of the natural increase in the value of the wine over time. And I choose the word natural in the last sentence carefully, because of all the criticisms thrown at our poor maligned wine investor, burdening him with the blame for today’s eye-popping prices is the most unfair. The investor does not cause the increases; he simply capitalises on them. Put it this way: wine increases in value due to the law of supply and demand. It starts at Price A, which is set by the chateau, and ends at Price B, which is set by the end consumer – the guy who finally pulls the cork. In between the price will fluctuate as the market endeavours to anticipate Price B. But all things being equal, Price B will ultimately settle at a higher level than Price A because the wine became more desirable the closer it came to maturity (so demand increased), and because it began to be consumed (so supply fell). Both put upward pressure on the price, but don’t be fooled that it was the investor who influenced or controlled price B – only the final consumer had the power to do that. The investor neither increased demand (because he was never going to drink the wine), nor did he reduce supply – he temporarily restricted it. The nuance is important. In a supply/demand market, the price is constantly tested, and by definition will only find a market at a price at which the buyer is willing. If there is no buyer, the price will fall until one enters the market. This is why the investor doesn’t have the power to control Price B: iron economic law. When you think about it, the only thing that’s changed in consequence to the modern wine investor taking the place of the landed gentry is that the price fluctuations are more visible, and perhaps more linear. This is simply because the wine is traded more frequently. In other words, the journey from Price A – B is visible, whereas in the olden days the wine disappeared from sight altogether for thirty years, only to suddenly reappear, as if by magic, at Price B like an alcoholic incarnation of Mr Benn’s shopkeeper. Here’s a thought: much like Mr (Sir?) Landed Gentry’s merchant making his profit twice from the same case of wine, the modern merchant might make his multiple times as the wine changes hand from investor to investor. This is because most investors still use the merchants for buying and selling (they shouldn’t – it’s against their interests, but they are often unaware of their options). Five re-sales at 20% margin = 100% profit from one case imported thank you very much – with someone else carrying the risk! A wine investor confronted by a sniffy merchant with his nose in the air might care to mention this. But the real reason that wine is so much more expensive these days isn’t a consequence of regular trading – it’s far simpler: the world is a much richer place and there are far more people ready, willing and able to splash out on the finer things in life. Just ask Louis Vuitton or Range Rover. Similarly, there are many more who are willing to play the role of end consumer; to pull that cork. Demand for fine wine has increased dramatically on a global scale over the last decade, but due to the fact that unlike handbags and Chelsea tractors supply cannot easily increase to accommodate this, prices have headed north sharpish. There’s no need to complicate it further. Certain observers of the wine market seem to regard investors as arrant speculators. But in fact, you can’t actually speculate, in the financial definition of the word. It reminds me of the Asian financial crisis in the ’90s. In July ’97 Malaysian Prime Minister Mahathir Mohammed introduced capital controls to protect the Ringgit from devaluation as a result, in his opinion, of the predatory machinations of speculators like George Soros, who earlier in the decade made billions out if speculating against Sterling. The point is this: true speculation is only possible if there is a future market, in which you can sell something short. There are no futures or options to trade in with wine, so the market is not open to this type of manipulation. In other words, investing in wine is not speculating in this market controlling sense. It is end users who control the price of wine, and this supports my assertion that wine prices are related more to economic growth and disposable income than anything else. I raise this point in further support of the wine investor. A speculator does not function as a valuable part of the food chain. A speculator in the property market, for example, buys and hopes. He is not (necessarily) a builder, a landlord, or an end user; he sits on the sidelines and watches. At worst, as in the Malaysian case, he can wreak havoc, and is therefore a destructive agent. Conversely, in the fine wine market, the investor performs a vital function – no one else is stepping up to the plate to bankroll wine – and is a therefore force for good. Consider this question: how could today’s fine wine market possibly operate in the absence of wine investors? So next time you’re mourning the fact that a bottle Mouton-Rothschild costs more than your first car, and you’re tempted to curse those of us in the trade surrounded by algorithms rather than tasting notes, please have a little grumble instead in the direction of the chateaux. And the merchants. And most of all, in the direction of those rich guys who are prepared to part with sums of money few of us earn in a week on 75cl of fermented grape juice. This is a very well reasoned and well written article for all, regardless of experience. Very well observed and authoritatively presented. There are more buyers and more wealth today, while production at first growths is pretty much constant. But wine has appreciated beyond inflation and general indexes, up to the recent withdrawl of the Chinese from the high end market. Their own economy is slowing, there is a government crackdown in gifting and the counterfeiting fears are realistic and widespread. Your thoughts on this phenomenon would be welcome. There is one observation to make. What made the high prices “legitimate” in your view was the demand (Chinese) which drove up the prices before the world recession. Realizing they were bidding against themselves and for the above mentioned reasons, the Chinese demand fell as did the prices. This does not mean the quality of the wine changed. The ability to pay for its perceived value and quality changed. Admittedly, the wine has matured and changed as well and become more desirable for immediate consumption. Growth in prices came from speculation about this future but also for the immediate appearance of status for early consumption and gifting. The greed and status conscience trophy-chasing pursuit of fine wine is driven less by long time afficianados and connoisseurs but by newly rich and ambitious people seeking status and affirmation. If course they are welcome to share the love. There are some things in life that should be allowed to be tossed and buffeted by a free market. Wine is one of them. It is not essential but it is exciting and gratifying to drink fine wine. There is more lesser but still superb wine experiences to be had today than ever for most people of lesser means. Unlike wine, food, shelter, housing, education and medical care are too fundamental to be exposed to the untrustworthy free market where those with wealth and power can unfairly manipulate the deliver of these essentials. Notice I did not say compete or profit from the delivery of these essentials. The damage to the environment and global health from a too little regulated marketplace is immeasurable. Profit is necessary. Exploitation is not. So when you blame ourselves, you are absolutely correct. But don’t tout the benefits of the free market as the sole arbiter of justice. When there is very good wine to be had for an hour or two of labor, and truly excellent wine to be had for several more, those who fight it out at the top deserve all the ups and downs they get, as a cost of doing business or of drinking the very best. I subscribe to Cecil Waugh’s view. As a prominent wine writer and an avowed wealthy socialist, someone asked him if he was not a hypocrite for writing about, drinking and encouraging the consumption of fine wine. He replied that it is like art. “Would you prevent me from going to the opera too?” Those tickets are pretty dear as well. But what he meant was that great wine is an accomplishment to be celebrated, and that all people have the ability to love and appreciate it. 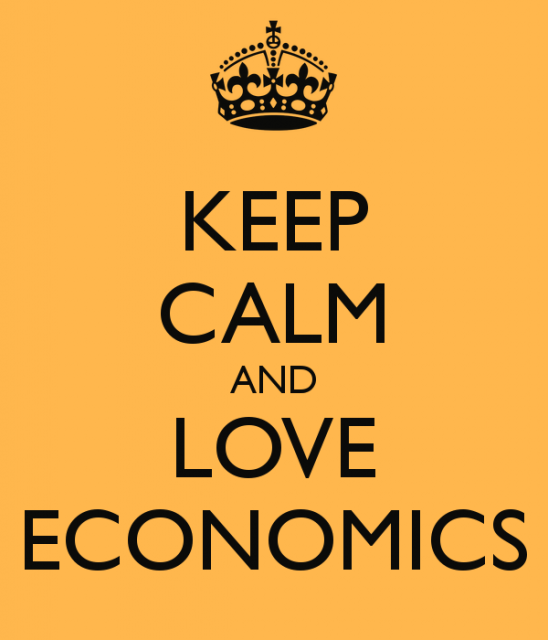 Today we have to add, especially those with large amounts of disposable income. For the rest of us, there are amazing CDs and Blue-Ray DVDs at home for pennies per experience, unheard of in the past. And plenty of fine wine at affordable prices for all. There doesn’t seem to be enough food, housing, education or healthcare for all though. Think about why that is so hard to accomplish for a moment, especially when you dwell on how expensive the best in wine may be. It’s the same free market at work, fair at the top for those who can afford that kind of justice, and inhumanly cruel to those at the bottom who cope with poverty and diminished opportunity because they have to. Final dram for thought: Adam Smith’s “Wealth of Nations,” that bible of free market thinking that the invisible hand will determine the best future for all in a marketplace, was followed by another book, “The Moral Sense.” Somehow libertarians and fiscal conservatives never quote that book where Smith cautioned that unregulated greed, avarice and exploitation would undo the capitalist system and weaken an economy. The second invisible hand is the moral sense to be decent to others in all your strivings. The rising tide will lift all boats if they can float in the same waters, now and in the long term. I read with interest your article in response to Robert Parker’s comments and do agree that it is us the investors that influence price. However it is the lack of transparency in the market and the continuing mystique concerning buying and selling that sours the experience for the average investor. The economy cannot hope to go on growing at double digit rates, indeed it would not be in its best interests to do so. Long term it will settle nearer 3% than 10%, if it is lucky and well managed, but an economy on that scale growing at that rate is still going to be hugely beneficial both for its own inhabitants and the rest of the world. Certainly it was an optimistic enough for us here at Amphora Portfolio Management to set up an office there. Tastes have changed dramatically even in recent years. 20 years ago no-one in China drank coffee. Expansion in China now underpins the growth of companies like Starbucks. 20 years ago there was no dairy industry. The Chinese used not to drink milk. Their former attitude to dairy products is well expressed by the literal translation of the Chinese word(s) for yoghurt: suan nai means “sour milk”. The dairy industry is now huge. Even within the last decade stories would abound in the West about Chinese wine drinkers watering down First Growths with coke to make it palatable. Not any more. Even at its more moderate rates of growth, China is spawning millionaires by the dozen. High net worths gravitate towards luxury products. Fine wine is undeniably a luxury product. Recent statistics put Chnia on course to be the largest red wine consumer in the world by….. The recent correction in First Growth prices was as much to do with the scale of the preceding bull-run as with the financial crisis. Do you REALLY believe this?!?!? Yes, you’re absolutely right in that those who turned wine from a beverage into an investment are responsible for the (IMHO) unconscionable rise in prices — not just of Bordeaux, but of a great many wines from around the planet. But there are so many flaws and factual errors in your defense of the issue that it boggles the mind. A simple one: “Chateau Latour now only offer their product to market once it is fully mature and ready to drink.” So you’re saying that the current release of Château Latour is — what, the 1982? The people responsible for holding onto wine until maturity remain, by and large, the wine drinkers themselves. While it’s true that some 96 percent of all wine purchased in the US, for example, is consumed within seven days of purchase, most of the wine sold isn’t meant for long-term cellar aging either. The people who buy (e.g.) Château Latour, or Vintage Porto, put the wines in their cellar and open them up later . . .and not just 6.5 days later. Historically, some London merchants *did* cellar some wines rather than release every bottle for sale all at once. US merchants (and wineries) generally do release every bottle, with relatively few exceptions. Investors who buy wine seek only to sell the wine later, and make more profit than they could if the same amount was invested in stocks, art, gold, etc. The laws of supply-and-demand have been skewed by “buzz,” by “hype” — by the internet that now sends 104-point scores around the world in seconds, rather than the local wine writer publishing a review in his or her weekly newspaper column or monthly magazine article. 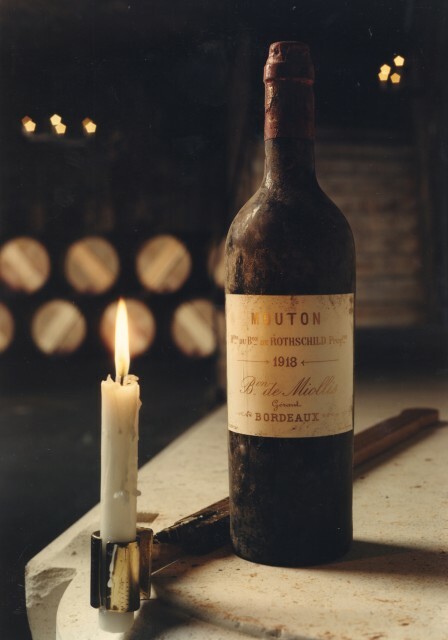 The latest vintage to be released from Chateau Latour is 1995, which they now consider fully mature and ready for market. meaning that if it wanted to be sold it would effectively have to drop in price. After 5 decades in the U.S. trade, I’m sorry to demur. Your well thought out, though clearly self serving discussion speaks most – but not quite all – of the truth. What I believe is missing is that, from the beginning, every new wine investment scheme takes a percent of each crop off the trade/consumer/drinker/enthusiast/hobbyist market and buries it in a warehouse. Large speculative purchases act as definitive price supports for the owners that justify ever higher pricing, which is good for the investment schemes’ operators and shareholders, but bad for wine consumers. Your article was both thought provoking and enjoyable. However, even if one accepts all of your arguments, you’ve left out one key observation which is why many wine drinkers have problems with wine investors. You claim that professional wine investors improve efficiency in the market by taking on the risks and costs of storing the wine from bottling to drinking. You also claim that they cannot affect the final price of the wine when it is consumed. Let’s accept both points. By having more people in the market willing to hold wine between its bottling and consumption, you are, by the laws of supply and demand, reducing the premium demanded for this service. This means that the spread in price between perfectly mature wine and wine purchased en primeur will fall (assuming equal quality). You’ll see this in the comparatively small price differences there are between mature/ nearly mature vintages and the recent great vintages (with 1982 standing out as the one great exception). Now you’ve already made the point that you can’t change the final price, so the price that the wine enters the market is the only thing that can change. You make the point that the chateau sets the initial price, and that’s sort of true. The chateau does, and when the chateau sets a price that the market will bear, that en primeur price will become the market price. If the chateau chooses not to increase their price to reflect the fact that it’s now cheaper to have someone else pay for the wine and store it until you buy it closer to maturity, then the person who initially buys the wine (or the merchant) will be able to flip it immediately and profit on the difference between the market price and the en primeur price. A good example of this happening today would be those receiving allocations of sought after burgundies. The fact that Rousseau sells his Chambertin at c.200 Euros a bottle to his direct customers doesn’t mean that the market price of his 2012 Chambertin is c.200 Euros. 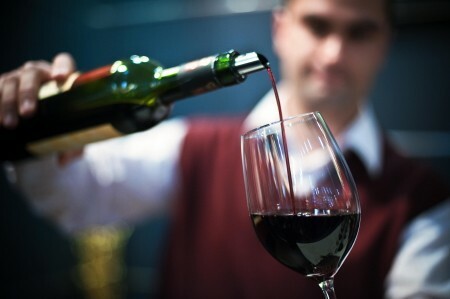 Flipping the wine immediately does not provide a service to any wine drinker as the flipper doesn’t really take any risk or provide any service for his or her profit. To stop this from happening, chateaus have stopped selling wines en primeur below their market price. Before the wines were cheaper on release as there were fewer people willing to store their wines for you. You (and fellow investors) have made the market more efficient so the initial market price of the wines rose as a result. This has increased the price for wine drinkers like me who just want to buy nice wine and age it ourselves. If there was no effect on the initial release price, then people wouldn’t have such a problem with it. I also agree that merchants are huge beneficiaries of wine investing, no matter how much they moan about it. There’s nothing inherently wrong with wine investing, but let’s not pretend that it is somehow beneficial to wine drinkers.